The second new category is set to make its SKUSA SuperNationals debut at the 20th edition, that being the S4 Super Master Stock Moto division. Created for the regional programs under the Superkarts! USA organization, there was enough support from the racers to move the category to the Pro Tour level in 2016. Racing within the S4 Master Stock Moto division at the SpringNationals and SummerNationals, the class will host its own group within the SuperNationals 20 schedule. Twenty-Nine drivers are making history as the first ever S4 Super Master field at the SuperNationals, all vying to become the inaugural winner. The seventh season of the SKUSA Pro Tour program is set to crown the inaugural S4 Super Master Stock Moto champion. Three drivers sit separated by 75 points with four days of competition remaining to decide the title winner. Nick Firestone has scored the most points over the opening four rounds, however, factoring in the drop race it is Robert Marks at the top of the standings. Each have two wins on the year as they split both events. Marks has the advantage thanks to a runner-up finish to record three podium results in four races. 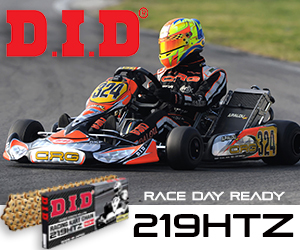 The PKS-Visalia / CRG driver is a former S4 champion at the California ProKart Challenge and was the highest finisher of those racing in the S4 Super Master category in 2016 at last year’s SuperNationals in the regular S4 category – placing 10th. Firestone (DRT Racing / DR Kart) is a former championship podium finisher in the S4 category back in 2011, earning the #2 SKUSA plate. His last SuperNationals was 2014, placing 28th in S4 Master. Firestone has to make up 25 points to surpass Marks for the championship. Rod Clinard sits third in the title chase, and is among those competing under the new CRG Nordam operation, set to use the 2016 SuperNationals to springboard into the 2017 season. Clinard is not looking ahead just yet, with a shot to battle for inaugural championship. Two podium finishes in the four Pro Tour main events has the Texas driver within reach heading into the SuperNationals. The 45-and-over category is a great addition to the Pro Tour and the SuperNationals. Driver who were at their prime in the early 90s, have the ability to come back to the sport they love, or others who found the sport later in life, can enjoy racing at the largest event in the world. 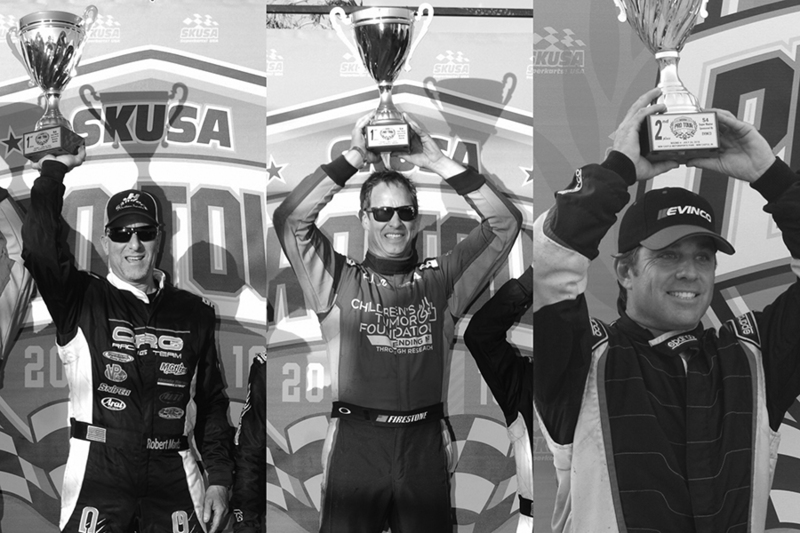 Of the 29 drivers, only one has seen the top step of the SuperNationals podium – John Crow. A TaG Master winner in 2005, Crow is still among the best Master drivers in North America. Crow took part in the S4 feature last year, suffering a DNF, and finished second in the California ProKart Challenge TaG Master standings for 2016. ‘The Crow Show’ is set to double-dip, racing both categories in Las Vegas – which will result is some much needed ‘Double-Double’ intake from In-N-Out, racing with MRC aboard a Praga in S4 Super Master. The driver who has been the one to beat along the west coast is Ken Schilling. 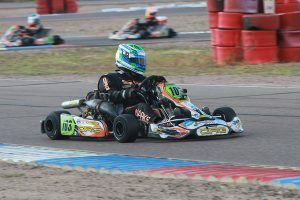 The Vemme Kart driver has won the California ProKart Challenge titles the last two years, and is a likely contender for the inaugural SuperNationals event. Jonathan Allen is the most-recent winner in the S4 Super Master division, scoring victory at the Streets of Lancaster Grand Prix. Teaming up with the successful Aluminos operation who has won on the Pro Tour and at the SuperNationals, Allen is an instant podium challenger. Ron White Racing has history at the SuperNationals, and could make more with two drivers representing the team for a bid for the S4 Super Master victory. Patrick O’Neill (CRG) and Kevin Woods (CRG) are coming over from the NorCal area and hold some SuperNationals experience. O’Neill is a Streets of Lancaster winner, while Woods has the speed to be right there for SuperSunday. 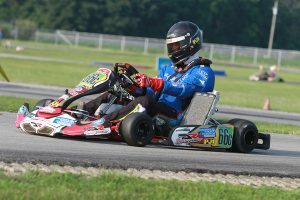 Just one driver east of the Mississippi River is competing in the S4 SM category – TB Kart USA’s Farshad Bagheri. The Florida driver is among the top in the state, and ready for a return back to the SuperNationals as one of the inaugural competitors in the S4 Super Master division.